July 24, 2007 -- Today the BBC reported the release of the Bulgarian nurses and Palestinian physician who had been imprisoned in Libya since 1999 and sentenced to death for allegedly infecting hundreds of children with HIV. Many around the world had argued that evidence suggested that the tragic infections were actually due to poor conditions at the hospital. The Benghazi Six arrived in Bulgaria on a French government plane, and immediately received a pardon from Bulgarian President Georgi Parvanov. The release follows a deal under which the families of the infected children will reportedly receive compensation of about US$1 million each. The deal also calls for stronger economic and political ties between the European Union and Libya, as well as health aid to Libyan children infected with HIV. The health workers' release was secured after years of diplomatic efforts, particularly by European Union External Affairs Commissioner Benita Ferrero-Waldner, and we commend everyone who played a role in this very positive outcome. We also thank the nearly 700 concerned people from all over the world who have written letters through the Center's site since 2005 urging the Libyan government to release the prisoners. See the BBC article, the video story from the BBC, and profiles of each of the Benghazi Six from the BBC. Please thank the EU and Libya! Please send letters of thanks to European Union External Affairs Commissioner Benita Ferrero-Waldner at relex-sanctions@ec.europa.eu and please copy us at letters@truthaboutnursing.org. Please also thank Libya at libya@un.int and copy us at letters@truthaboutnursing.org. July 16, 2007 -- "Libya's High Judicial Council delayed by a few hours its long-awaited sitting on Monday to have the final say on the fate of the five jailed Bulgarian nurses and a Palestinian doctor. The nine-member body, headed by the minister of justice, will convene at 6 pm local time." "Libyan Families Drop Death Demands in Bulgarian Medics HIV Trial"
Oh baby, will I see you again? July 11, 2007 -- Today the BBC reported that the Libyan Supreme Court had upheld the death sentences imposed on five Bulgarian nurses and a Palestinian physician for allegedly infecting hundreds of Libyan children with HIV. However, a group of interested parties, including the children's families, the Libyan government, and the European Union, has reportedly reached a final agreement as to financial compensation for the families. The BBC reports that this agreement will be among the factors considered by Libya's High Judicial Council--which can overrule the Supreme Court--when it meets to decide whether to "confirm, annul or amend the death penalty verdicts." Human rights groups and health experts have long argued that there is no persuasive evidence that the health workers committed any crime, but that the tragic infections were instead the result of poor conditions at the hospital. Please write to the Libyan government and politely request that the Council order the release of the nurses and physician. The Council reportedly meets on Monday, July 16. Please see our action page on the Benghazi Six and join our letter-writing campaign! BBC: "Libya HIV death sentences upheld"
Washington Post: "Deal Struck in Libya Foreign Medics Case"
"Libya: Solution of Bulgarian Nurses' Case to Be Reached in Few Days"
"Bulgaria Closer Than Ever to Solving Libya-Jailed Medics' Case"
"EU cites progress in bid to free Bulgarian nurses"
"Libya Ready to Negotiate Bulgarian Nurses Release"
"Deal to free medics, treat children in Libyan AIDS case may be near"
"Libya Asks For French Help On Nurses' Trial, Bulgaria Prays For Miracle"
"No Bulgarian Lawyers in Libya's Court Room on May 6"
"US, EU Vow to 'Reinforce' Efforts to Free Libyan-jailed Bulgarian Nurses"
"Bulgarian Nurses Trial on EU-US Summit Agenda"
"French presidential candidates pledge to work to free Bulgarian nurses in Libya"
"U.S. impatient over inaction to free nurses"
European Union "calls on Libya to free Bulgarian nurses"
"New EP Initiative in Support of Libya-Jailed Bulgarian Nurses"
"Qaddafi Turns Down Meeting with US' Negroponte"
"Bush Presses Elusive Qaddafi to Release Jailed Bulgarian Nurses"
"Qaddafi Not Interested in Captives Switch - Report"
"Bianca Jagger Calls for Libya-Jailed Bulgarian Nurses' Release"
Newsday: "Fixing blame in Libya HIV outbreak"
"Bulgaria Allocates BGN 500,000 More to Nurses' Defence"
"World "You Are Not Alone" Coalition to be Established"
"US Ambassador Beyrle: Bulgarian Nurses Should be Back Home This Year"
"UN Officials Discuss Bulgarian Nurses Release in Sofia"
"Nurses' Torturer Ready to Face Interrogation in Bulgaria"
"Libya Court Delays Bulgarian Nurses' Slander Hearing"
"Qaddafi Promised Nurses Wouldn't be Executed"
"European Council Discusses Case of Libya-Jailed Bulgarian Nurses"
"Libya Gives Another Sign Bulgarians Will Be Spared"
"Sarkozy Condemns Bulgarian Nurses Trial as Outrageous"
"Bulgarian Medics Protest With Black Ribbons"
Amnesty International: "Libya: Six foreign medics should be released"
Spiegel Magazine: "Pay up or die: Bulgarian Nurses Face Death Penalty in Libya"
November 9, 2005 -- "The case has been running for years. Five Bulgarian nurses and a doctor stand accused of infecting Libyan children with AIDS in a children's hospital. They have already been sentenced to death. But will diplomacy -- and the Shariah -- be enough to save them?" Washington Times: "U.S., EU near deal on nurses' release"
November 3, 2005 -- "The United States and the European Union are in the final stages of negotiating a deal with Libya to free five Bulgarian nurses sentenced to death for infecting children with HIV, U.S. and European officials said yesterday." Also see more details on the case at the Web Factory Bulgaria. November 9, 2005 -- As of today, the fate of the five Bulgarian nurses and the Palestinian physician who face execution for allegedly infecting over 400 Libyan children with the HIV virus remains unclear. International experts have concluded that the tragic infections were not due to intentional acts of the prisoners, but to poor infection control systems at the hospital. A wide range of governments, international organizations, and health care groups have expressed grave concern as to the conviction of the health workers. (See our initial piece on this issue.) 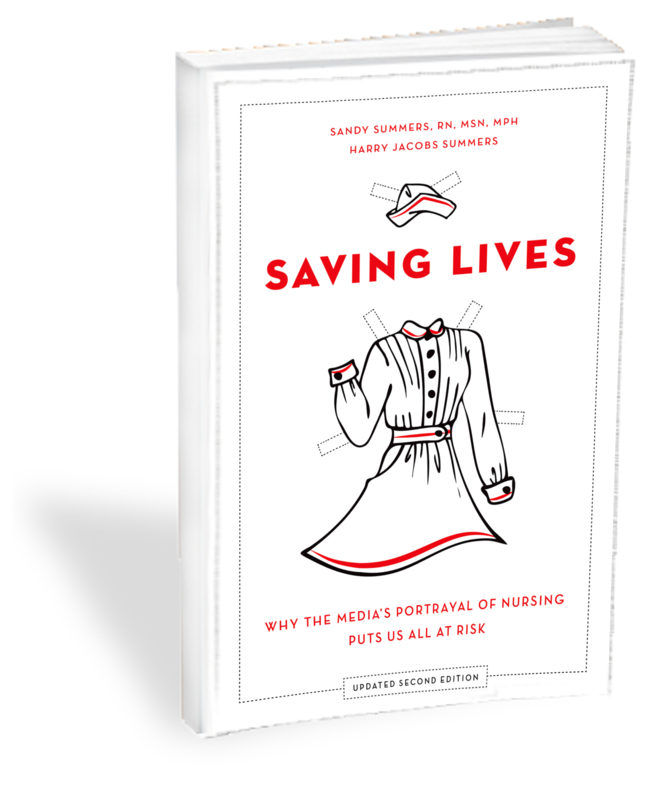 The Center believes that nurses should not be scapegoated because of their proximity to systemic health care problems, which could inhibit efforts to improve care and promote better access to skilled nursing. Press stories indicate that negotiations between the Libyan government and concerned entities are ongoing, but accounts of the progress of negotiations vary. Some suggest that a deal to free the health workers may be imminent, perhaps involving the transfer of resources to help the infected children and their families, or the transfer to Libya of a man convicted of involvement in the 1988 Lockerbie bombing. The Center thanks the 200+ supporters who have written to Libyan leaders as part of our campaign urging the release of the prisoners. And we urge all who have not written to do so now in a polite, respectful way that expresses concern for the plight of the infected children, over 40 of whom have now reportedly died. The Center and some allied organizations have also considered other methods of advocacy, but those plans have been put on hold for now due to tactical considerations. We urge all concerned to watch closely, as we understand that the Libyan supreme court is due to consider the health workers' final appeal on November 15. Please click here to send a letter to the Libyan UN to ask for the release of the Benghazi Six.